With Breaking Bad gone, The Walking Dead is now saddled with the task of fully leading its network in programming, and on 12 October will start their first full season without their fellow AMC drama on the air. 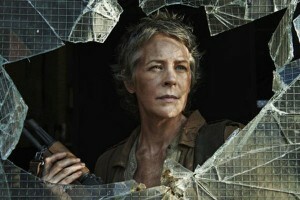 Naturally, there is a little more interest focused purely on the zombie survival story now that is set to feature content to the tune of 16 episodes starting next month (and a confirmed spin-off in the show’s world to be piloted in the near future), and it is around this timeframe in a TV show’s season build-up that promotional features such as trailers has been released. Alongside a range of promotional imagery (such as the one pictured), the show have released their first footage of the upcoming new fifth season, with the tagline of “hunt or be hunted”.